When you walk in the front door of our office, you will be greeted by our friendly and helpful staff. Both Lisa and Tessa are both exceptional people who are here to help you in any way they can. We feel that your treatment begins when you walk in the door so we want to treat you like the important person that you are. Both are great believers in chiropractic care and can help you in almost any aspect of your care. 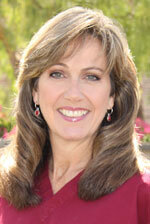 Tessa has been working with Dr. Rawlings and the Irvine Health Center since 1993. During that time she has worked at the front desk, assisted with patients and now handles the insurance department. 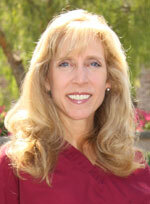 She enjoys helping our patients and feels like they are family. Any question you have about insurance can be answered by Tessa. Lisa actually was a patient of the office for years before she joined the staff. She has been working with us for 9 years and handles the front desk. She’ll usually be the one answering the phone and greeting you when you walk in the door. She keeps the office on schedule and that benefits you because you get in and out quickly so you can get back to your day. Thank you for visiting our website and reading about our office. But enough about us! I look forward to meeting you and having the opportunity to help you with you health care issues. Please call the office at your earliest convenience so we can schedule you an appointment. Oh, by the way, if you have any questions that are not answered by our website, give me a call. I would love to talk with you on the phone and answer any and all questions you have. Contact our Irvine chiropractic office today!